An example gallery for testing and for my SmugMug Customizations. 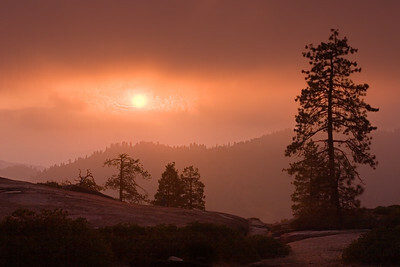 After a day of photographing at Sequoia NP, we decided to spend sunset at Sunset Rock. What a great place to see the sunset! 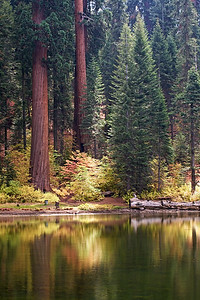 I went up to Sequoia National Park on Saturday with some friends. We had to stop here and take several photos as the sunset. 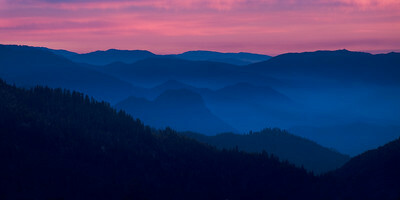 I really loved the blue and pink tones along with the fog layers. 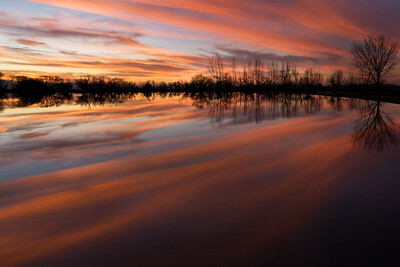 My kids had gymnastics practice for 4 hours, so I took off for a few hours to the Merced National Wildlife Refuge to capture the sunset. I wanted to try and capture something different for sunset this evening. 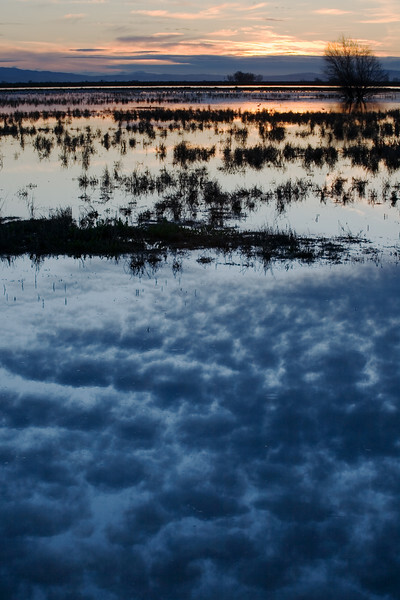 I think I've photographed near every location here at the Merced NWR. Since the park rangers filled the Bittern Marsh Loop with water this season, I thought it would be a change of pace. I wanted to photograph the bridge, but it was hard to get to . I settled for this location instead! 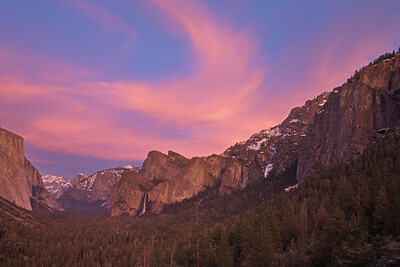 After my kids were done playing in the snow, I had enough time to drive up to Tunnel View to capture this sunset. I just love the swirling cloud over Bridalveil Falls. 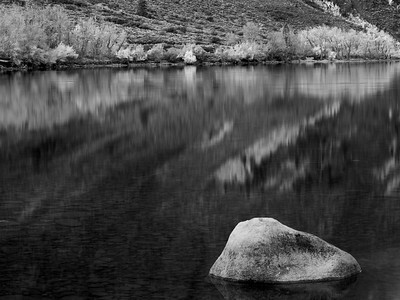 Sometimes fall colors look better if they are converted into a black and white image. This is one of those cases. 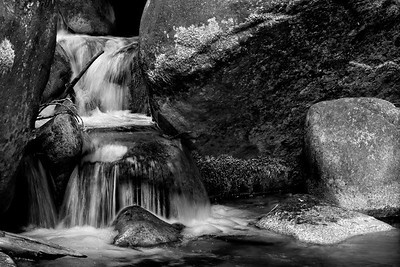 The colors just didn't say wow, so I converted this into a black and white. 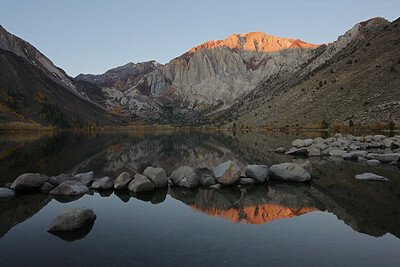 Drove 4 hours to capture sunrise on Laurel Mountain and Convict Lake. It was definitely worth it! 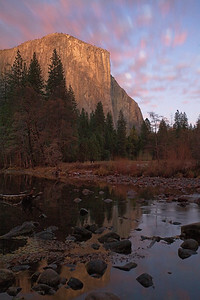 My wife made me go to Yosemite the day after Thanksgiving (oh darn!). We decided to join the nature walk starting at the Awanee at 3pm. I saw these trees and had to capture them before we moved on. 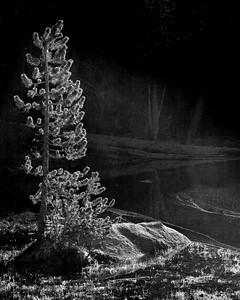 While I was photographing Mount Dana and Mount Gibbs I noticed this small tree lighting up by the morning sun. 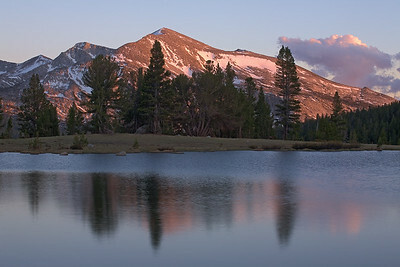 After seeing clouds filling the sky all afternoon, one cloud remained as sun set behind Mammoth Peak. 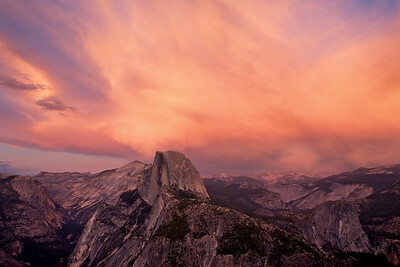 After spending some time in Yosemite Valley with another photographer, we drove up to Glacier Point for sunset. I loved the parting clouds and thought a black and white conversion would look great. 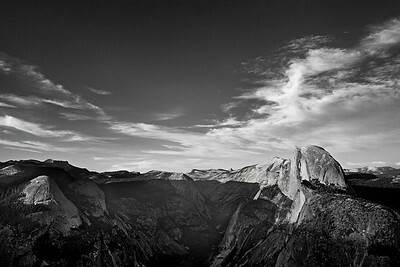 When I got to Glacier Point, it looked like it may rain. In fact I think I felt a few drops. Since storms are good for photography, I just waited. I was pleasintly surprised to see the colors open up right around sunset. 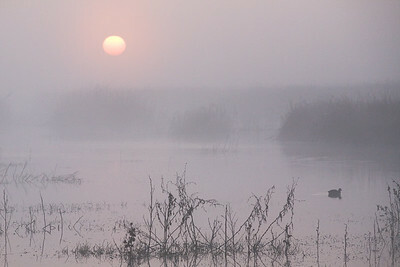 This was my first outing to the Merced NWR this year. I also had an opportunity to meet two other photographers from another forum. 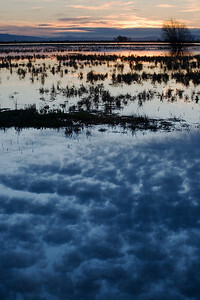 As we were talking, I almost missed the surise! I found a small waterfall that I can get to on the Wishon Fork of the Tule River at Mountain Home State Park. 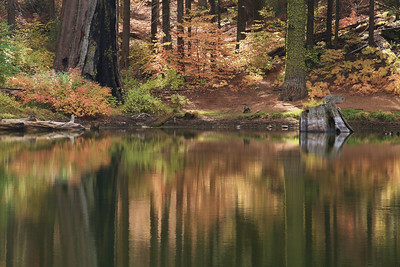 We were sitting here eating lunch and occasionally the sun would filter through the trees. I quickly finished my sandwich and waited until the sun poked through the trees again. 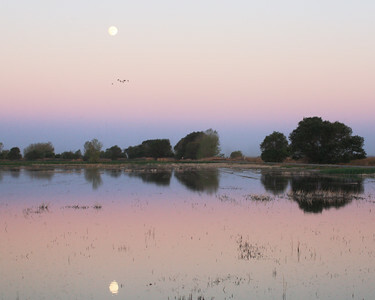 Took a drive out to the Merced National Wildlife Refuge (NWR) just to photograph the Full Moon. Forgot my bug spray and the mosquitoes had a feast that evening! 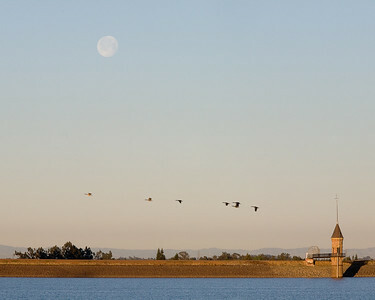 While I was photographing the full moon setting over Lake Yosemite in Merced, I also got a flock of Canada Geese flying by. Very glad to see the clouds move in this afternoon! Really like the light here. 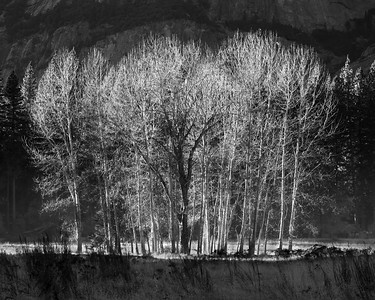 A few years ago at Thanksgiving, I captured the last light on El Capitan but I wasn't happy with it because I missed the focus. 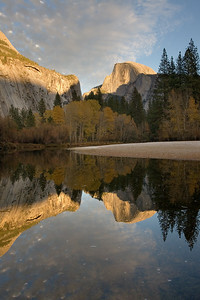 After shooting Half Dome by the river at sunset, I wanted to try again. I quickly drove to Valley View and I came away with this one. This was a 30 second exposure and I'm pretty happy with it. 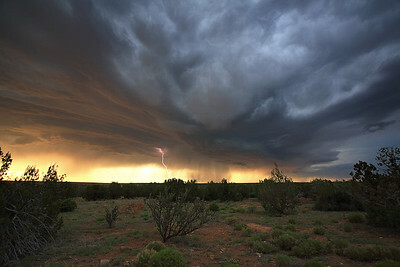 Sunset and lightning strikes at the Santa Rosa Campground and RV Park in New Mexico.